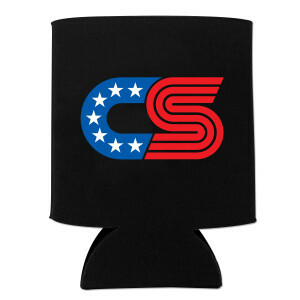 Black koozie with CS Draplin Stars and Stripes logo. I love my CS Koozies!! They are well made. Keep the surface of whatever I place them on, that all that easier to grip. Can't be without them! ? ?